I created a few cards with this sketch as my exchange cards for this month and decided to use this design to make a set of kits for this class. I used several different dies to cut the opening and a variety of greetings as well so all the cards will be a little different. 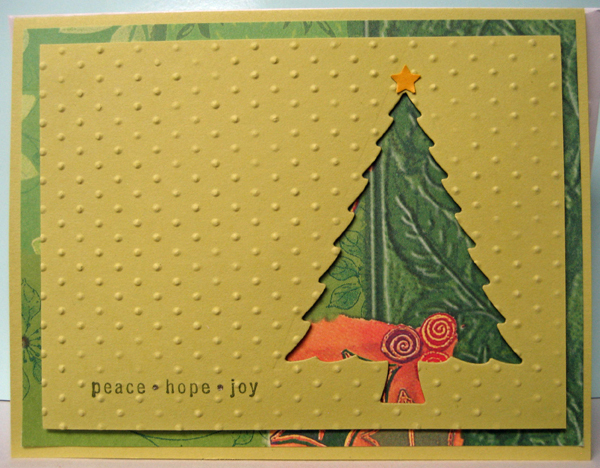 I used the same cardstock for the card front and the large topmost layer of this card which has been stamped with a greeting and die cut with a tree. I added a coordinating decorative paper in between which provides the contrast that creates the focal element. I added a little star punchie to the tree. 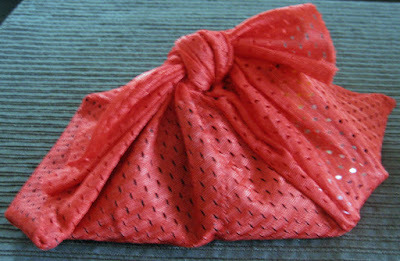 I hand embossed this front layer to avoid having the greeting be lost in the embossing. 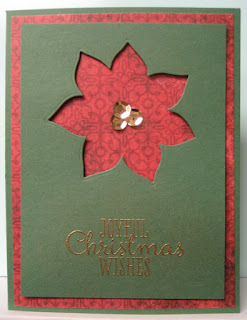 For this card I used the medium sized poinsettia die from the Spellbinders set. 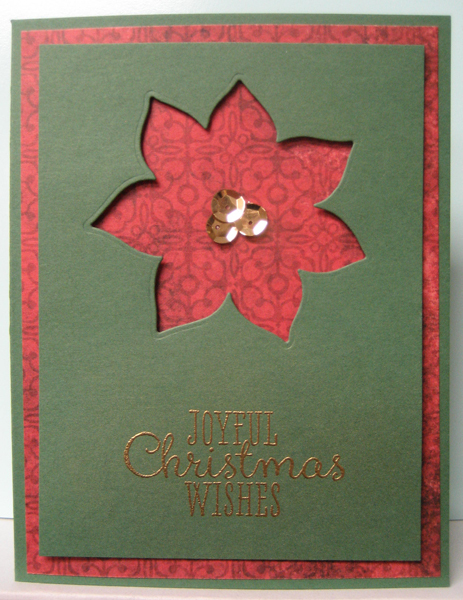 I die cut the flower on the top portion and gold embossed a greeting on the bottom section. The center was created using 3 gold sequins which were held to each other and the card front using mini glue dots. Again, the top layer is held above the decorative paper which is glued to the card front using 3D foam tape. I like the contrast and dimension that is created. I chose to not emboss this one because it seemed more complete and less in need of any more texture possibly because of the larger greeting. These kits were pretty fast to assemble as most of the work was already done! !